engineered hardwood flooring - "hickory natural"
An engineered hardwood floor offering that's just as straightforward as its name communicates. The 3/4 by 6 inch hickory floor has light coloration and a friendly, airy feel. It has a texture that's both hand scraped and sawn. It can accommodate a handful of different convenient installation techniques as well. These are glue, staple and nail installation. 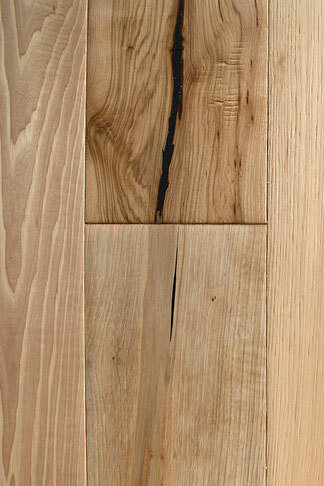 Hickory Natural can be a super choice for people who gravitate to looks that are natural, intimate and homey. This floor can shine in residential and commercial locales alike. That's why so many people are drawn to it.